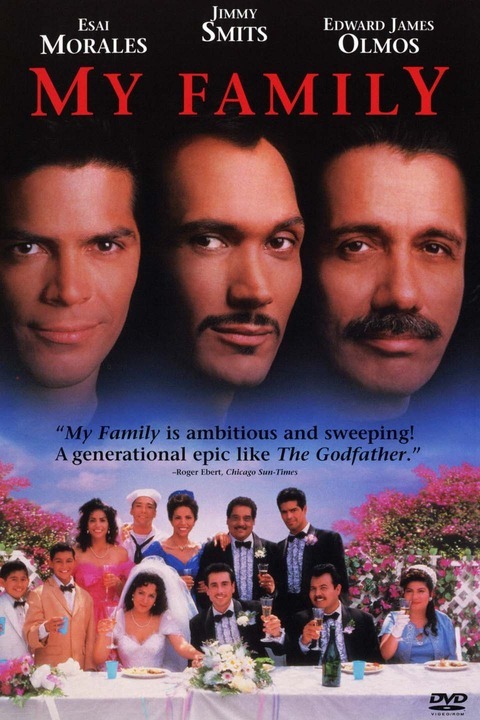 My Family is a 1995 independent American drama film directed by Gregory Nava, written by Nava and Anna Thomas, and starring Jimmy Smits, Edward James Olmos, and Esai Morales. 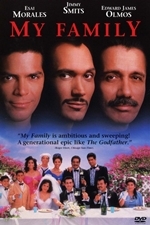 The film depicts three generations of a Mexican American family who emigrated from Mexico and settled in East Los Angeles. Roger Ebert, film critic for the Chicago Sun-Times, liked the direction of the film, and wrote, "Their story is told in images of startling beauty and great overflowing energy; it is rare to hear so much laughter from an audience that is also sometimes moved to tears. Few movies like this get made because few filmmakers have the ambition to open their arms wide and embrace so much life."